Healthy cooking simple with "TurboCharged Recipes"
I'm not one to go on diets. I look at maintaining one's weight and health as a life-long habit, not something you focus on for a few months then you're done. I am one to cook healthy foods, though—if it's simple and inexpensive. 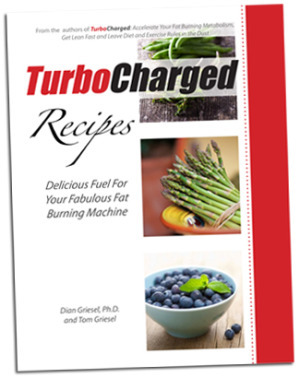 TurboCharged Recipes: Delicious Fuel for Your Fabulous Fat Burning Machine, a cookbook I recently received free for review, offers up a bounty of recipes that are exactly that: healthy, simple, inexpensive. The book by Dian Griesel, Ph.D., with Tom Griesel (her brother) is a companion book to their rapid fat-loss and health book, TurboCharged: Accelerate Your Fat Burning Metabolism, Get Lean Fast and leave Diet and Exercise Rules in the Dust. The TurboCharged method focuses on building diets around natural, fresh-as-possible foods. There are many benefits to such a diet, and as the info on such can (and does) fill books, I won't go into that here. You can read more on becoming a "TurboCharger" at www.turbocharged.us.com. While I don't have the first TurboCharged book to which my free review cookbook serves as a companion, that's okay. I don't need that first one to know there are plenty of recipes I'd be happy to try in the one I have in hand. The more than 400 recipes in TurboCharged Recipes are divided into chapters including beverages, dressings & dips, salads, vegetarian, eggs, meats and more. Most recipes can be made in 30 minutes or less, and there are quite a few I have on the mealtime agenda. Those topping my list of most-tempting so far are Elisa's Soup (made with broccoli, garlic, onions, celery and chicken stalk); Chicken in Red Wine (savory goodness baked in dry red wine); and Cheesy Pizza Dip (an appetizer featuring cream cheese, Italian seasonings and more). What I liked about the book: In addition to healthy recipes that seem pretty easy yet delicious, I appreciate the copious amounts of food info throughout, such as the list of foods that you should purchase as organic, the ones you shouldn't spend the extra money on, and the reasoning behind both lists. I also learned a thing or two from the tips on cooking vegetarian. What I didn't love so much: If you've read any of my previous reviews on cookbooks, you know I am a huge proponent of pictures in cookbooks. This book has not a one. Another thing that left a bad taste was the many typos and grammatical errors in the book. TurboCharged Recipes (softcover) can be purchased on Amazon.com for $17.96. For more information about the book and authors Dian and Tom Griesel, visit www.turbocharged.us.com. Disclosure: I received a copy of the book free for review. Opinions are mine. 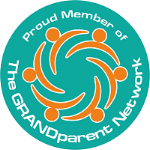 This post contains no affiliate links.